Material for display can be brought on board the vessel from around 10:00 on 18 January 2012 and has to be off the vessel no later than 14:00 on 20 January 2012. The exhibitor is responsible for end-to-end logistics from set-up through wrap-up of the material for display. However, if you need help, do not hesitate to contact us. We will do our best to advice you and assist you. 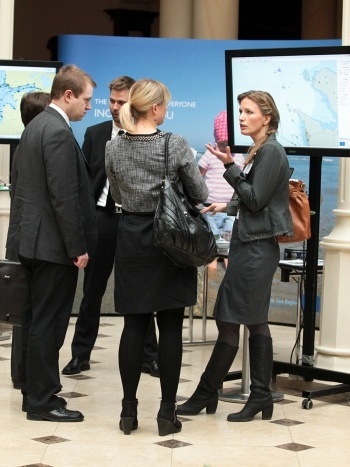 The cost of a display area of 2 x 2 meters is € 500 for the duration of the conference. Electricity and limited internet access will be available for exhibitors during the conference hours 9:00 to 17:00. For more information and booking please contact the Event Manager Annemette Knagaard .